Looking for the ultimate in relaxation on your next vacation? Consider a resort with natural hot springs, where you can rejuvenate in healing mineral waters. You don’t have to leave the kids at home, either — these luxury resorts allow kids to relax in the hot springs and/or offer family-specific amenities such as pools with waterslides. Check out our favorite family resorts with hot springs. Glenwood Hot Springs – Glenwood Springs, Colo. This mountainside resort located between Aspen and Vail features the world’s largest hot springs pool! Fifteen minerals can be found in the hot springs at Glenwood Hot Springs. Since 1888, folks have been visiting these hot springs for relaxation and rejuvenation. Open year-round, the resort features waterslides and a kiddie pool in the summer. The two waterslides feature 300 feet of twists on an inner tube. The water that flows into all the pools comes from the Yampah Spring, which is located directly on the resort property. It has a daily flow of 3,500,000 gallons of water at about 122 degrees Fahrenheit. Fresh water is added to the pools to bring the temperature down to a more comfortable level. Unlimited swimming is included with a stay here, along with free, poolside breakfast! Fitness classes and a full spa are also on the menu at this resort with hot springs. The Greenbrier – White Sulphur Springs, W.V. 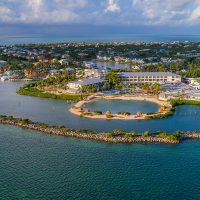 This is the ultimate in resorts with a hot spring and the added bonus is that there is a huge amount of activities for families! The adults can “take the waters” in the white Sulphur spring water at the spa baths at The Greenbrier. The native Sulphur waters are said to have healing properties. While mom and dad are relaxing, the kids can enjoy so much more! There are more than 55 activities taking place over the 11,000-acre resort year-round. Falconry, archery, a ropes course, afternoon tea, ice skating, sleigh rides, Segway tours, horseback riding, hiking, biking, tennis, indoor and outdoor pools, off-road driving, bowling, laser tag and fishing are just a few of the fun things to do at The Greenbrier. After a dip in the hot spring, make sure to take a tour of the former bunker, too. The now declassified bunker was once a top-secret government fallout shelter and tours are offered daily. This hot springs resort in Costa Rica is situated between the Arenal Volcano and Arenal Volcano National Park in the heart of the rainforest. 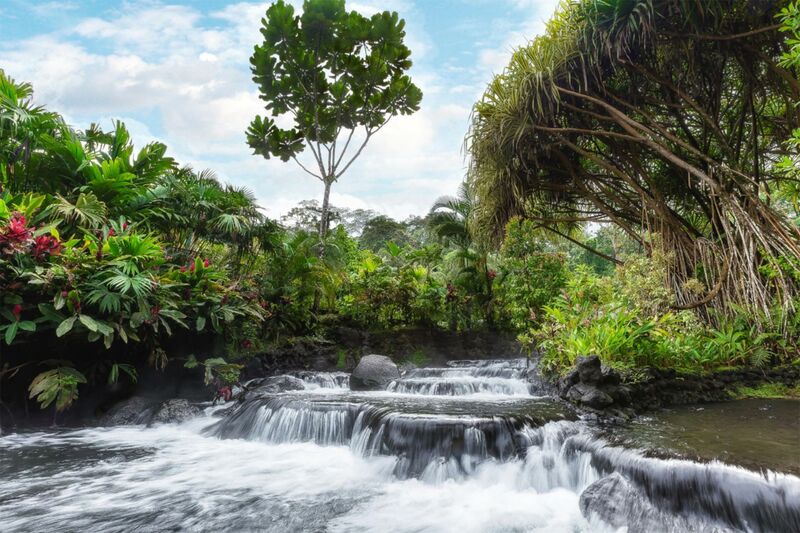 The five natural springs flow mineralized water throughout Tabacon Grand Spa Thermal Resort, which is heated underground by the Arenal Volcano’s magma. The water forms the Tabacon River, and flows into dozens of natural pools and waterfalls ranging in temperatures from 72 to 105 degrees Fahrenheit. Soaking in the Tabacon Hot Springs is the ultimate in natural hydrotherapy relaxation. The resort features sunbathing and swimming areas among the five main pools and a thermal water slide the kids will love! Omni Bedford Springs Resort – Bedford, Pa. Located less than two hours between both Harrisburg and Pittsburgh, the Omni Bedford Springs Resort‘s eight mineral springs have created a long legacy of rejuvenation. The 30,000-square-foot spa only utilizes the natural spring water that flows into the property. The eight mineral springs were first used by the local Native Americans for healing properties that are still relaxing folks today. Children between the ages of 10 and 17 can enjoy the salon services at the spa when accompanied by a parent. 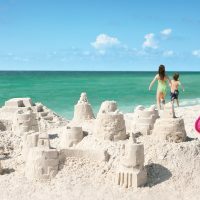 But the kids will have plenty of other things they will want to do at the resort, while the adults enjoy some quiet time. Families will enjoy the heated, indoor pool year-round and the outdoor pool seasonally. There are historic hotel tours where you can learn more about the hot springs, cooking demonstrations, afternoon tea, handcrafted jig-saw puzzles in the library, fly fishing, numerous hikes, biking, lawn games, Segway tours and off-road vehicle tours (passengers must be 12 years old). Once the sun sets, families can enjoy recapping their day around the fire pit while roasting S’mores! 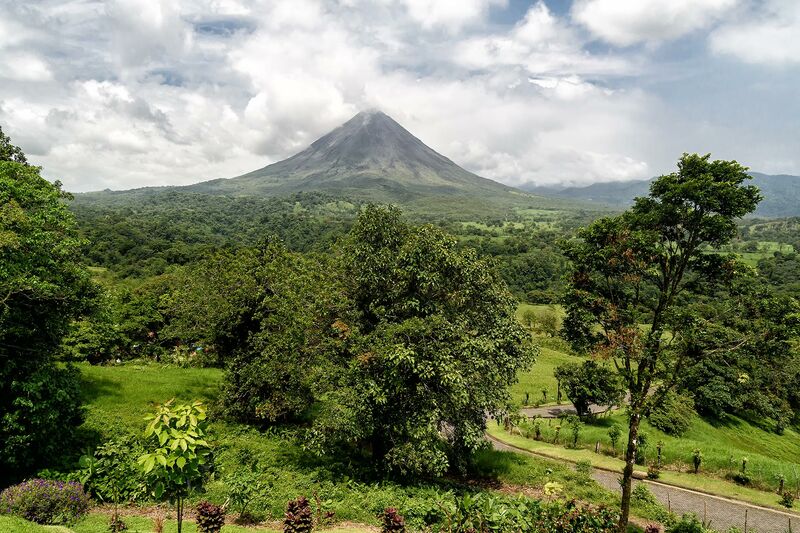 With a view of Arenal Volcano, natural cold and hot springs, a full-service spa and an adventure center, this hot springs resort is ideal for families seeking both thrills and relaxation. There are several freeform natural pools at The Springs Resort and Spa, and temperatures range from 83 to 103 degrees Fahrenheit. There are waterfalls and multiple levels of the pools offering families both sunny and shady spots to enjoy. The pools are either fed directly by the natural mineral springs or heated by the geothermal energy. Check out the Lost Springs, where families will find a walking rainforest trail alongside the natural pools and it ends with a water flume called the Monkey Slide! Once your family is nice and relaxed check out the Club Rio Outdoor Center where Costa Rica adventure awaits with activities like river kayaking and tubing, horseback riding, mountain biking, fishing and much more. Fairmont Sonoma Mission Inn & Spa – Sonoma County, Calif. 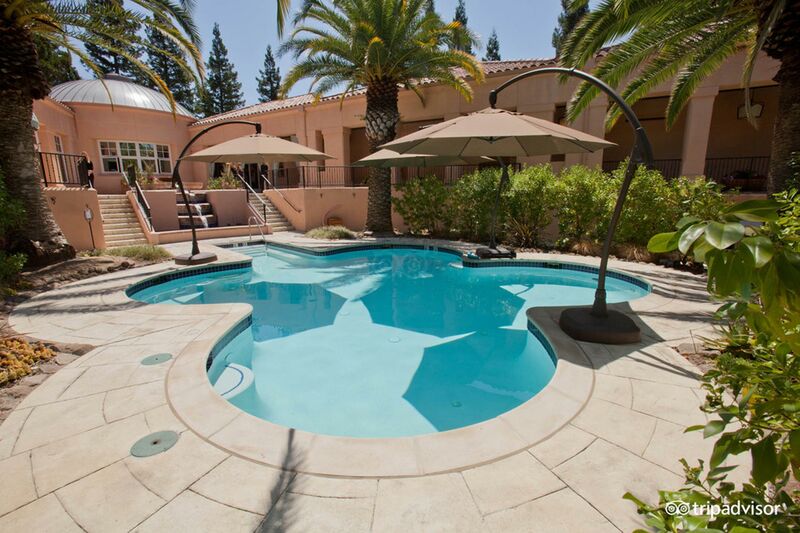 The four geo-thermal swimming pools at the Fairmont Sonoma Mission Inn & Spa are only for guests over the age of 18. So, while the adults are unwinding in the hot springs, there is plenty for the kids to do at this resort situated about an hour outside of San Francisco. The main pool is open to all guests, guided biking and hiking tours are complimentary and families can play a game of tennis or golf during a stay at this family resort with hot springs. Kids will love roasting S’mores at the fire pits in the evening, too! Arlington Resort Hotel & Spa – Hot Springs, Ark. This historic hotel also happens to be the largest hotel in Arkansas. Located in Hot Springs National Park, the Arlington Resort Hotel & Spa offers a Thermal Bathhouse with hot mineral waters. The town’s Bathhouse Row is only a short walk away and the Magic Springs & Crystal Falls Water and Theme Park is less than 10 minutes away. While parents enjoy some unwinding time at the spa, the kids will love to play at the outdoor, split-level mountainside pool. Box Canyon Lodge & Hot Springs – Ouray, Colo. 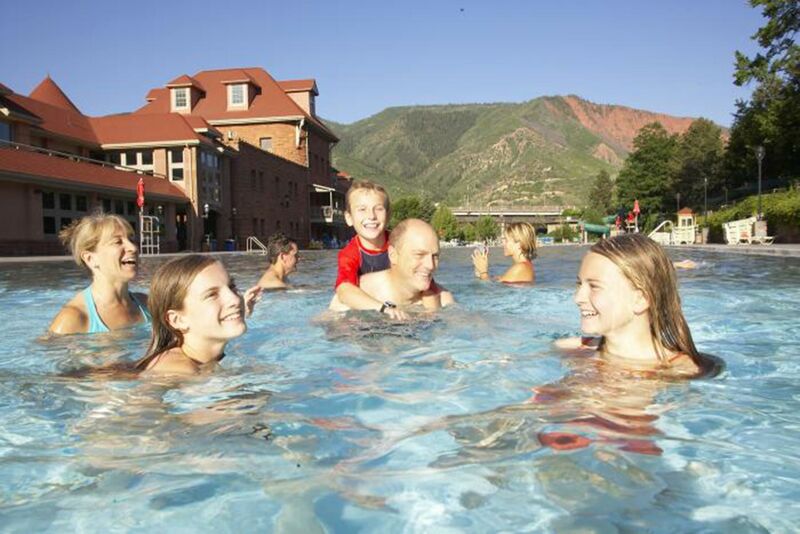 Box Canyon Lodge & Hot Springs welcomes families who are interested in the beauty of the hot springs and mountains. There are four redwood spas situated along the mountainside of the property offering amazing mountain views while you soak. For resort guests only, the hot springs at this resort range between 103 and 108 degrees Fahrenheit in temperature. 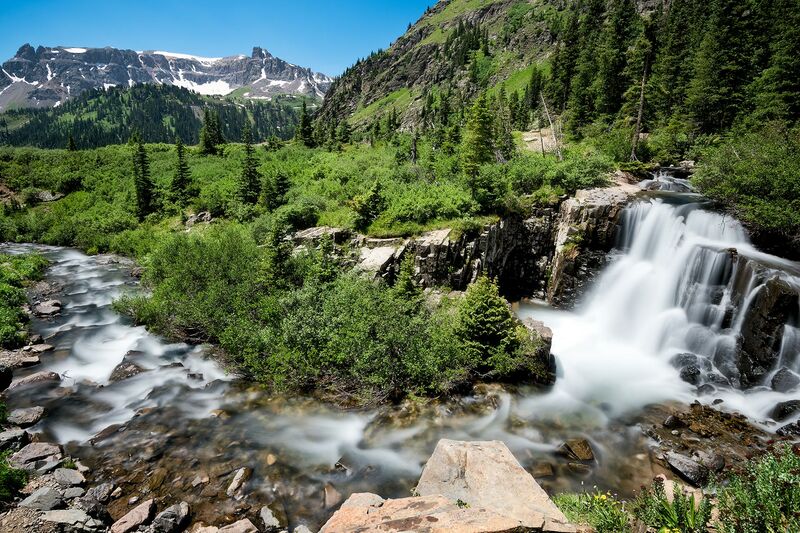 If you tire of the hot springs at Box Canyon Lodge, historic downtown Ouray features a public, natural hot springs pool that contains a million gallons of natural water. There is a diving area, two waterslides (in the summer) and a water volleyball section at the Ouray hot springs, only a five-minute walk from the resort.